Angala enjoys a magnificent position high up on the slopes of the Simonsberg with spectacular vistas across vineyards to the immense Boland Mountains. 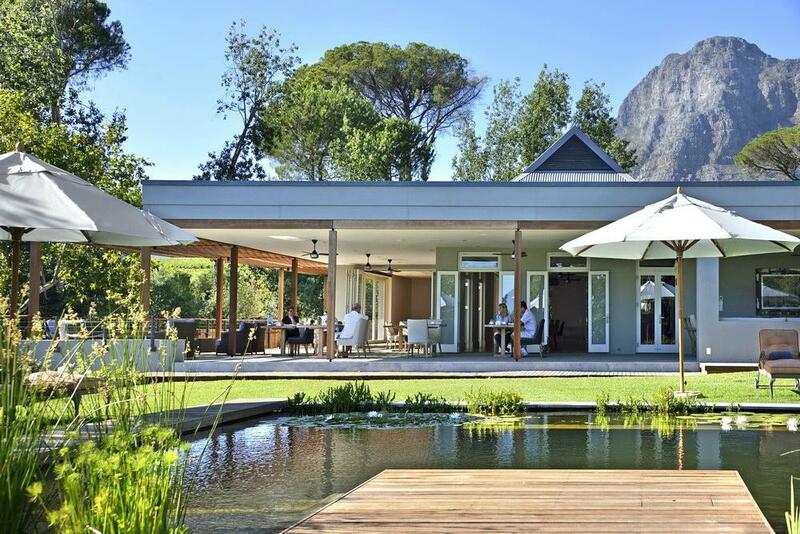 Not only is Angala situated in the heart of the winelands, but it is also surrounded by three top golf estates. Witness splendid sunsets and the mountains aglow in the late afternoon. Wake up to country quiet and enjoy hearty homemade breakfasts and freshly brewed coffee. Gourmet dinners are served from a small a la carte menu, with the finest Cape Wines. Make use of the spa’s ozonated solar heated pool, sauna and steam room to shed stress and detox. There's currently no specials at Angala. A modern conference venue is equipped with projection facilities, and the gardens provide tranquil relaxation space between sessions.